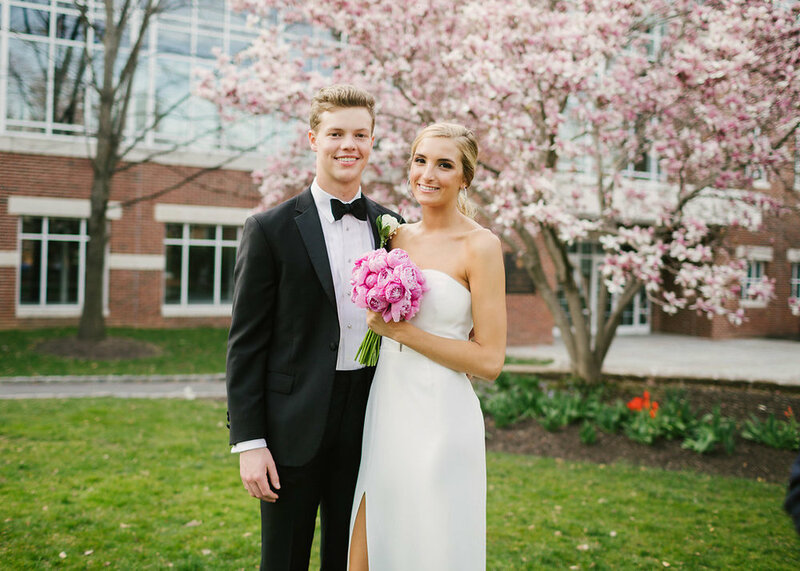 I am so excited to be featured in the latest edition of Modern Luxury Weddings Philadelphia. 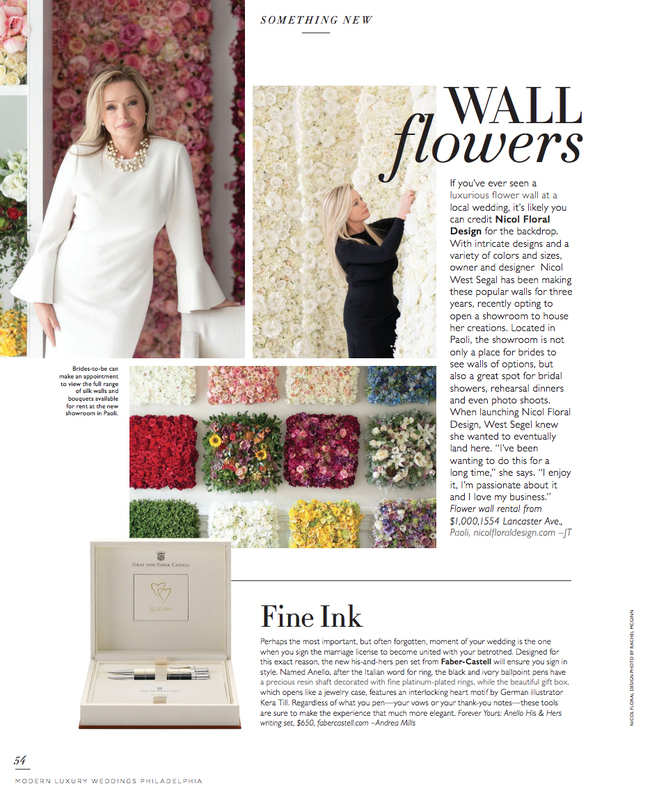 Not only did they write an article about my silk flower walls, local bridal shop VanCleve Bridal used my walls for two ads in the magazine. 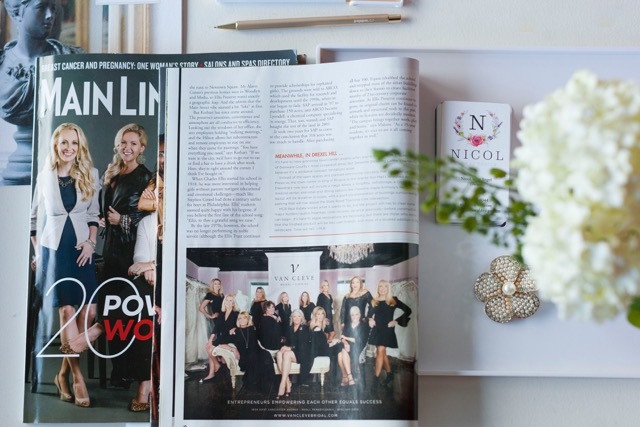 Modern Luxury Wedding is the premiere wedding magazine brides use for wedding planning and inspiration, and I am so pleased and grateful to have worked with such an amazing magazine. 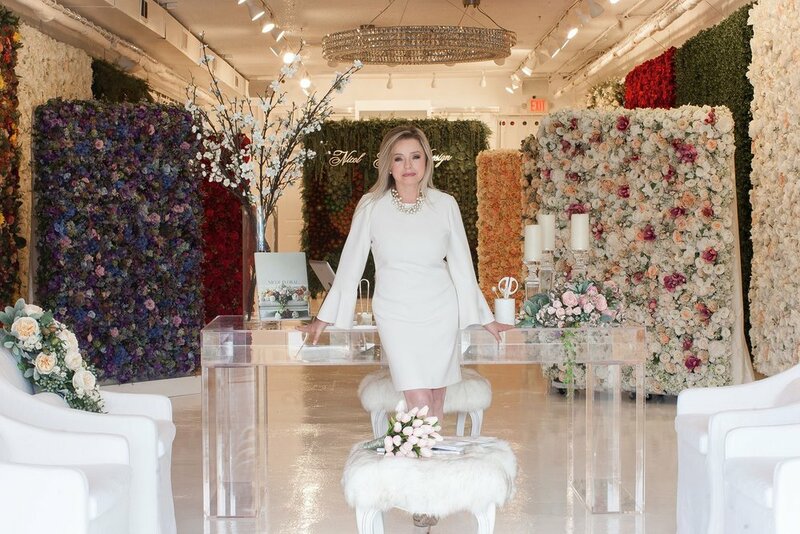 A special thanks to Deborah VanCleve Phelps for choosing my floral wall backdrops for an exquisite two-page ad in the Modern Luxury Weddings spring/summer 2019 edition and during her Rock the Runway event at her store. The pictures were taken by three extremely talented photographers Rachel McGinn, Ryan Eda, and Alex Schon. Make up artists and hair stylist during several photoshoots were Beke Beau, Marcia Vanessa Williams, Mimma Marrollo, and Maria D’Andrea. Models during photoshoots were Chey Forbes, Sandra Yodesky, Zoya Egan and Stephanie Weller. 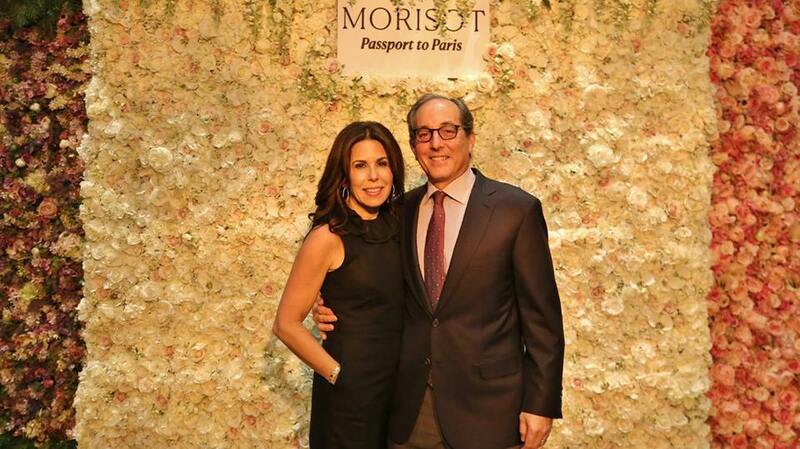 It was a privilege to be a part of The Barnes Foundation’s, Passport to Paris, a preview party last month celebrating the museum’s landmark Berthe Morisot exhibition. Three of my walls added to the outstanding décor of this gorgeous gala with Philadelphia’s finest event vendors pulling out all the stops to celebrate the museum’s latest exhibition exploring the significant yet under recognized work of Berthe Morisot, one of the founders of impressionism. It was an honor to work with so many outstanding professionals and with an art museum of such high caliber. Berthe Morisot is a role model for women pursuing the arts. She was a maverick in her time, breaking boundaries in the art world. I did some research to learn more about this amazing impressionist artist. She broke social norms of the time to join the Parisian avant-garde in the mid to late 1800’s and she was the only female artist to show in the first exhibition of this radical group which included masters such as Édouard Manet, Edgar Degas, Claude Monet, and Pierre-Auguste Renoir. Participating in this event opened up new avenues of learning and re-sparked my creativity and love for all aspects of art and design. Berthe Morisot is truly an inspiration to me as I move forward to advance my career in silk floral design. Below are some photos showing how my silk flower walls worked as backdrops for photos during the evening. Some of the guests in these photos include Crawford Hamilton, Samantha Hamilton, Anne Fritchman Hamilton, Andrea Freundlich, Kali Curran, Lynn Shecter, and Darryl Moran. I’d like to give a shout out to Darryl W. Moran Photography, the event’s official photographer, and to Lexi Eveleth of Ever Laser who created the sign hanging on my flower wall. Proceeds benefit the education and outreach programs at the Barnes Foundation. 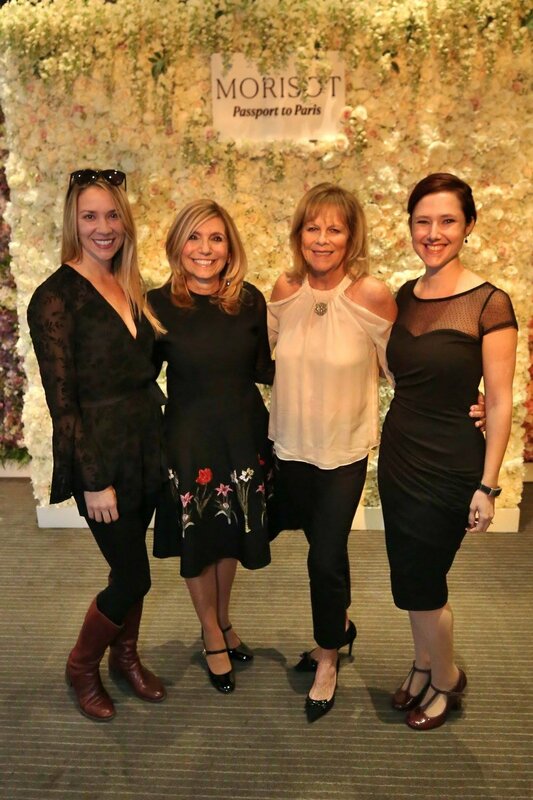 I was honored to be part of this very select group of vendors at the Philadelphia Magazine Bridal Brunch at Terrain Gardens/Devon Yard in October. 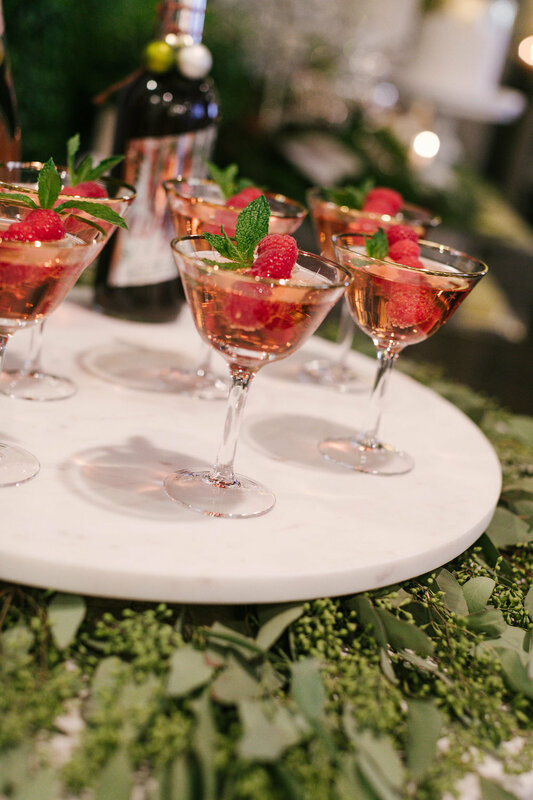 The Philadelphia Bridal Brunch shared the latest styles and tips for planning the perfect wedding. 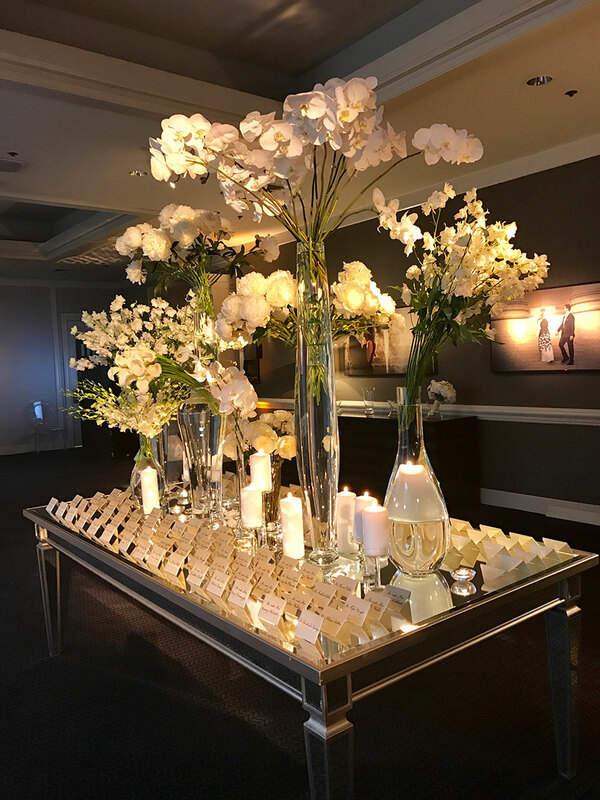 Newly engaged couples could find everything they needed from wedding planning help to invitations to florists and every vendor in between... all of Philadelphia’s pros under one roof. I displayed one of my very popular silk flower walls. They’re a great backdrop for guest photos, behind the sweetheart table during the reception, or behind the bride and groom during their wedding ceremony. Brides can choose from many colors and designs. For some extra elegance, my luxury walls are tastefully designed with the addition of beads, bubbles, and bling. My silk flower walls aren’t just for weddings. 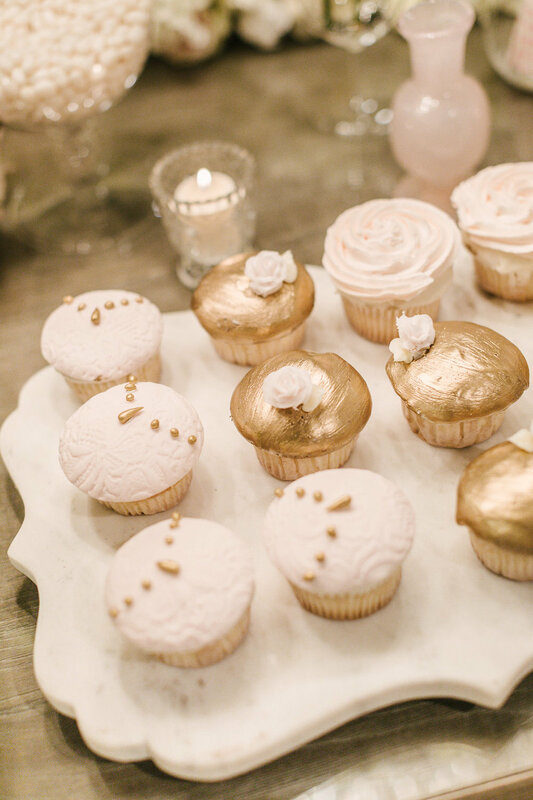 They’ve been used for birthday parties, baby showers, bridal showers, and corporate events, too. To see all my walls, visit this page . The event photos below are courtesy of Emily Wren Photography. We all admire strong, confident women. Women who run a business, take care of their kids and run the daily operations of a household…all with grit and grace. That’s what was going through my mind when I stood for this photograph taken for a VanCleve Bridal ad which ran in Mainline Today’s 2018 Power Women edition. 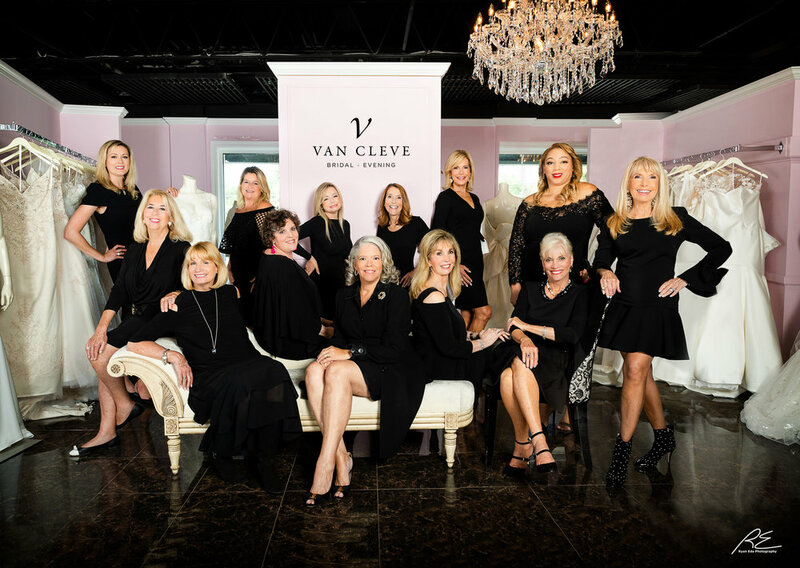 It was truly an honor to be standing among these confident women, especially Deborah VanCleve Phelps, owner of VanCleve Bridal in Paoli. She is extremely supportive of the female business community on the Main Line. The women in this photograph are part of a new generation redefining success and we need to support each other, speak up, and help one another. It’s always been a struggle for women to have a voice and this ad gives us an opportunity to shine. Business women on the Main Line set an example for our daughters as we represent proud and courageous women willing to take risks and work hard. Seeing us fuel our passions with purpose and perseverance encourages them to forge their own path, striving beyond what they ever deemed possible. We are not superheroes, though. It’s important to be open and genuine with our daughters because having a career and parenting are two tough endeavors. It takes the right tools and the most important one is a collaborative effort from the family. With this team effort, building a business and raising a family can be extremely fulfilling and tangible. These women are truly inspirational to me. It’s hard to juggle all that they do, but they manage to keep smiles on their faces! They’re empowering and they give me energy and strength to continue to make my business succeed. I want to give special thanks to Ryan Eda Photography for taking this amazing photograph and for Rachel McGinn who photographed the magazine. The women in this photography include: Deborah VanCleve, Nicol West Segel, Zoya Egan, Barbara Jordan, Doris Elofer, Lillian DeBaptiste, Phyllis Gambrone, Diane Roshamp, Marcia Vanessa Williams, Sandra Yodesly, Cecilia Rudman, and Meredith Coyle. Showroom Now Open for Pop Up Events and Photoshoots! 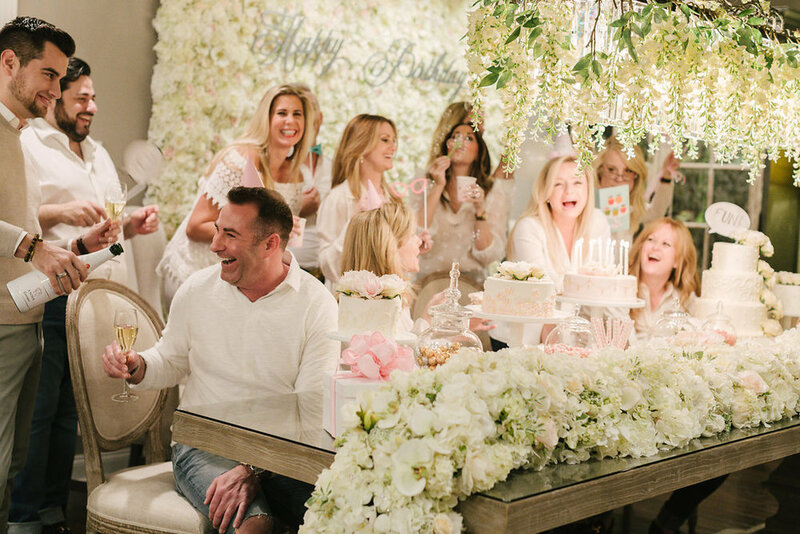 What could be more fun than organizing and hosting a party? That’s a rhetorical question at Nicol Floral Design. We wake up every day with thoughts of parties, specifically about making them beautiful with silk floral décor. Our job is to make people happy and we do this by providing an abundance of exquisite silk flowers on walls, on tables, in vases, and pots…in people’s homes, in offices and at weddings and events. And, now, you can see, feel and touch all our silk flower walls in our new space at 1544 Lancaster Avenue in Paoli where we showcases our 24 flower walls. Additionally, our new space is available to rent for pop up events and photoshoots. Replete with sensational silk flowers adorning the room, the décor is an open canvas for the most creative photographer or business to work with. 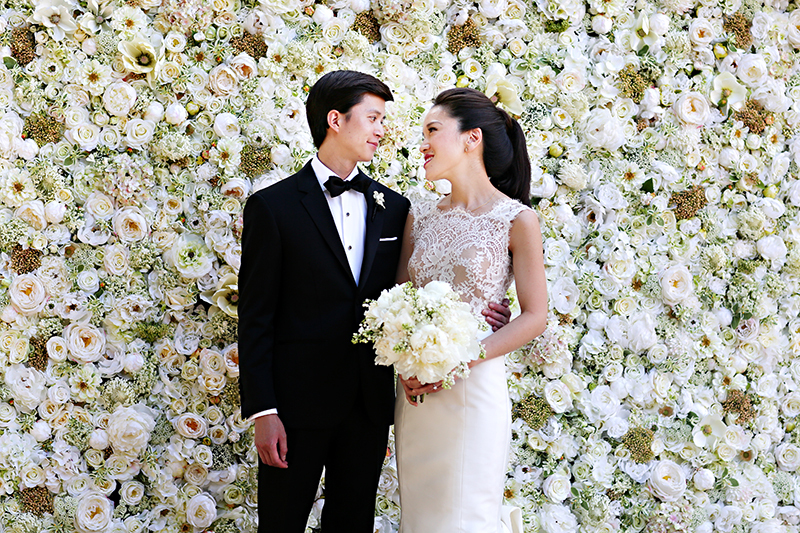 The silk floral décor works as an outstanding backdrop for photoshoots with all 24 flower walls accessible. We provide an extensive list of photographers on our website or you can bring in your own. Reservations for photoshoots are available on Mondays and Tuesdays. With the holidays coming, space is filling up, so book your session now! Wednesdays are reserved for pop up stores for vendors who work virtually or out of their home and need a short term store. Some events lined up this month are Stella & Dot, Madda & Co. Handbags, Madalynne Intimates, and a false lashes workshop with locally and nationally recognized make-up artist, Beke Beau. We also rent our two large storefront windows on a weekly basis. For an additional fee, pop-up vendors can use them the week of their event, but even without a pop up shop, the storefront windows are great for visual merchandising with lots of walk by and drive by traffic on the Lancaster thoroughfare. 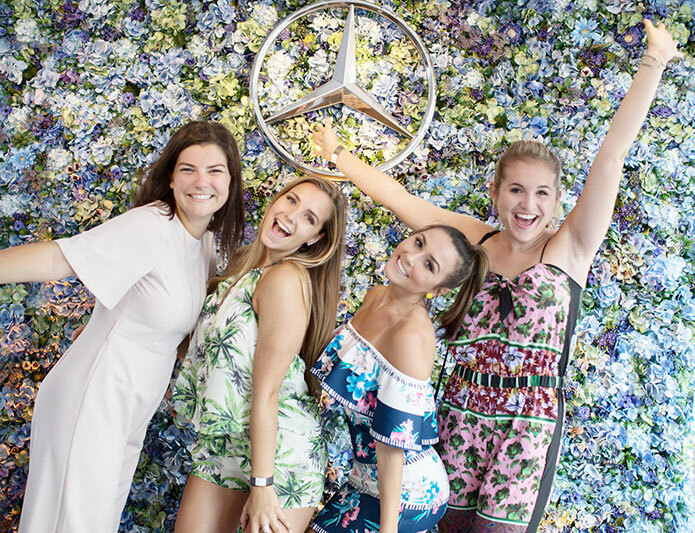 We were thrilled to show off our flower walls at the Best of the Main Line and Western Suburbs party earlier this month. We joined Van Cleve Bridal for the evening and provided one of our 8'x8' walls from our Luxury Collection as a stunning backdrop for photos. 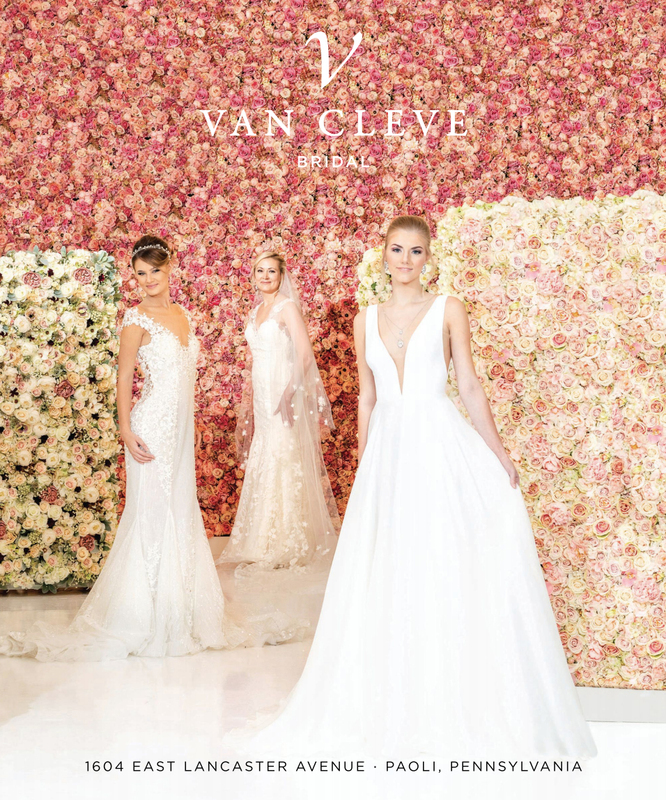 Van Cleve model brides shined for photos in front of the wall and party goers posed like princesses next to a model cut out of newlywed Prince Harry! Fun for all! 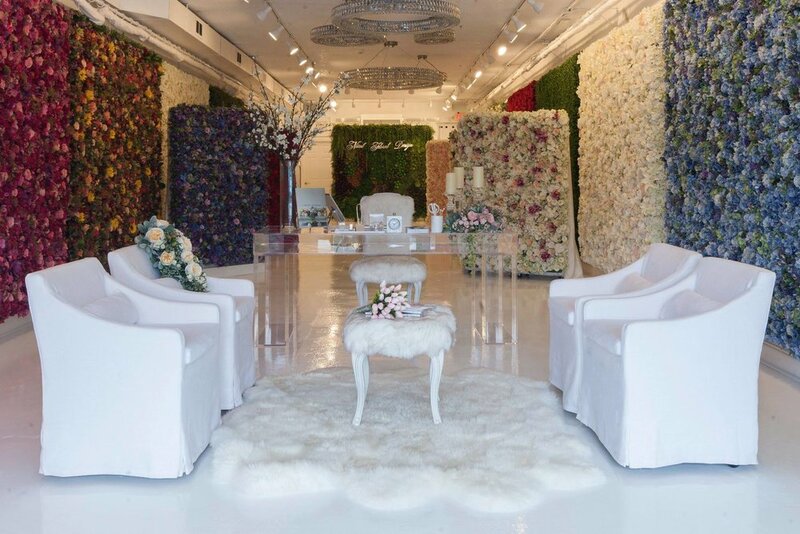 Van Cleve Bridal has always been a strong supporter and promoter of our flower walls. Their customer service and belief in other local bridal vendors makes them a favorite in the community. 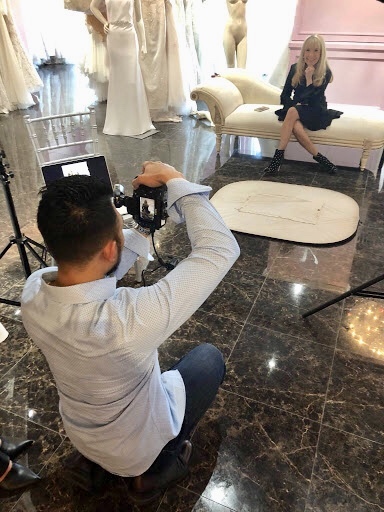 It's no wonder they were awarded the 2018 Readers Choice awards for "Best Bridal Shop" and "Best Evening Wear" for 2018. 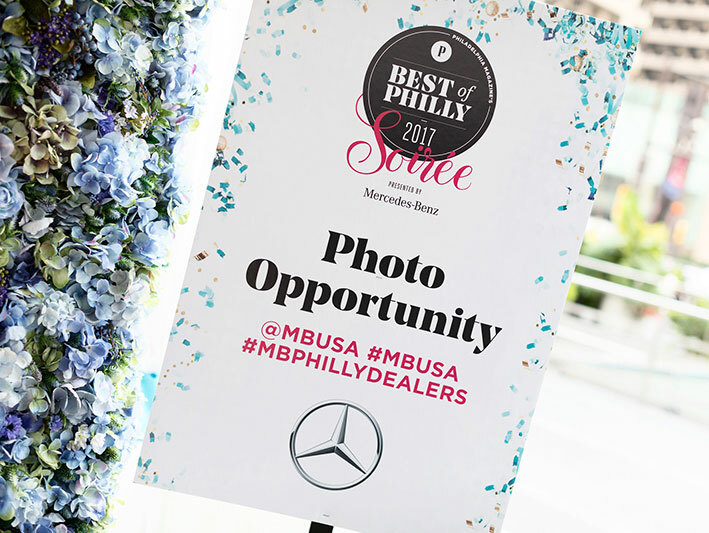 We were thrilled to be a part of this event celebrating the best of the Main Line. Besides Van Cleve, many of our friends were honored including, Ellis Preserve, Ame Salon and Spa, Clay's Creative Corner Bakery, Aux Petits Delices, The Argyle Bouquet, and Valley Forge Flowers. If you are a parent of a teen, this is the time of year when you find yourself charging your camera and gearing up for prom night photo opps. It's the biggest night of the year for many high school students and my silk flower walls make exquisite backdrops to catch the perfect pose. Add my "Prom Night" sign to the wall for a final touch to remember this milestone. My silk flower walls bring the beauty of the outdoors inside, so even on a rainy prom night, photos can look fresh with flowers! 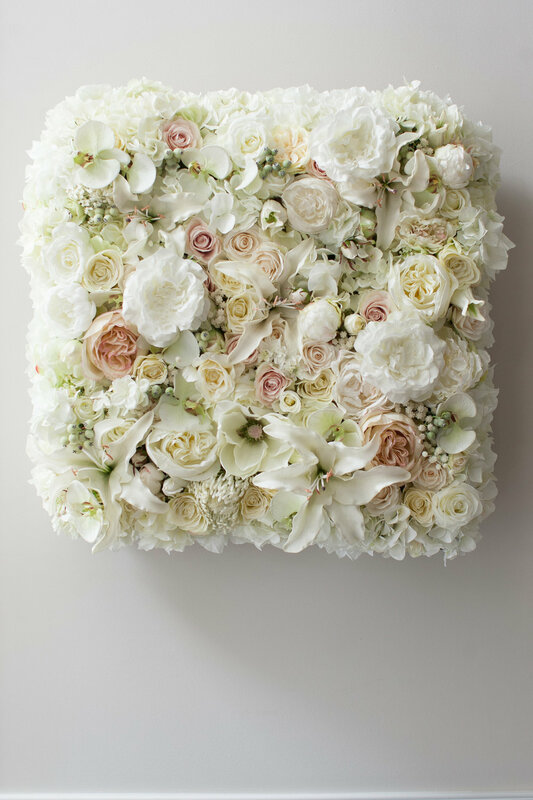 You can choose silk flowers that match the couples attire or pick something neutral. I have lots of color themes available! For more information on my walls, please visit my website. Hopefully we are done with all the late winter snow on the east coast and the warmer weather is fast approaching! We need the gray days to morph into blue skies and fluffy, white clouds! 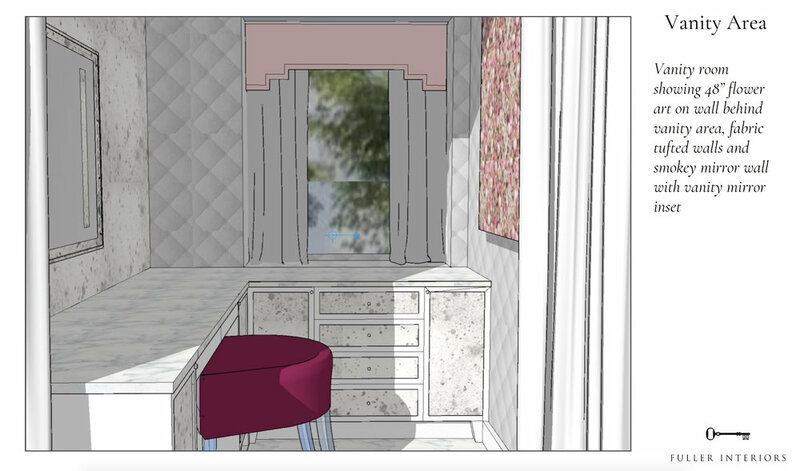 To welcome the new season, Jennifer Fuller of Fuller Interiors just ordered one of my pink floral panels for a dressing room project she’s working on. 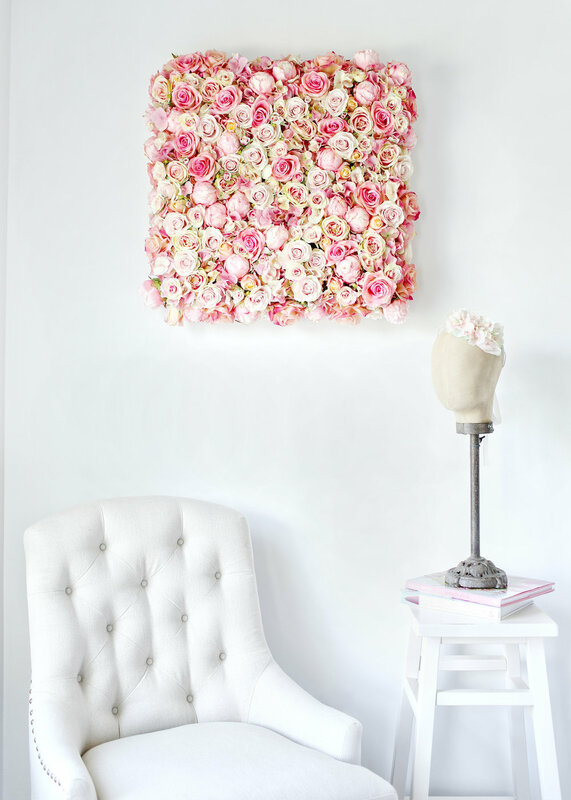 The two-foot square panel will hang adjacent to a window and across from a mirror, giving it light and reflection to show off theRoses, Peonies, and Baby’s Breath accents. Flowers brighten any room and breathe life into any space. I love fresh flowers, but the thought of adding another weekly chore into the mix can get overwhelming. You can still get the look of fresh flowers with my silk arrangements because I meticulously select the highest quality silks for my pieces. They are so authentic you can even mix them with fresh flowers in a room without anyone being able to tell them apart! My silk panels are a unique touch to any room, but work especially well in sun rooms, baby’s rooms, little girls’ rooms, dressing rooms, and covered porches. 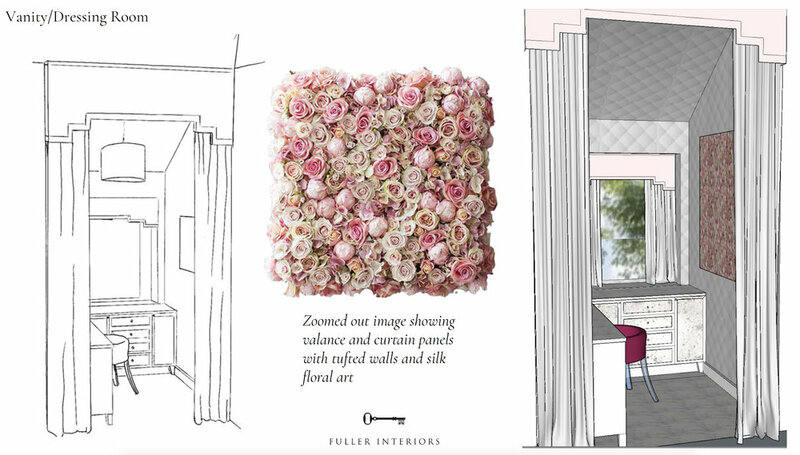 Below are samples of floral panels in various rooms including sketches of the dressing room design from Fuller Interiors. Once Jennifer’s project is complete, I’ll post pictures of the final design. It’s always fun to blog about my projects for interiors, weddings, and events. Happy occasions and flowers are always easy to write about! Luxury Silk Floral Walls. New for 2018! The 2018 fashion and design trend is faux finishes and silk florals fit the bill! Designers are turning to faux materials for budget-friendly alternatives to authentic materials. 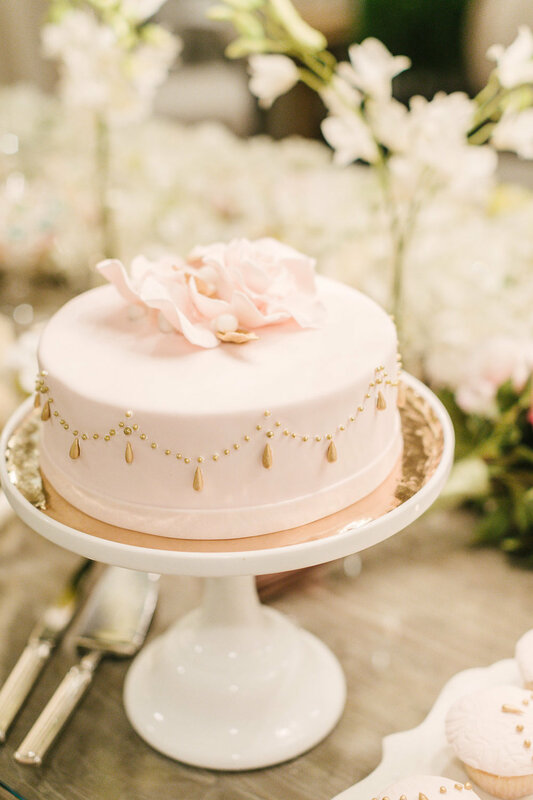 In the world of events and weddings, think marble dance floors, faux fur wraps and even faux wedding cakes. We have always touted using silk floral walls instead of real floral walls as a cost-cutting measure. Although we stress that real flowers are a must for weddings, we consider our silk florals as compliments to the real ones. Their affordability allows event space to be filled to the brim with blooms. New for 2018: Our Luxury Wall Collection offers the same beautiful silk florals as our standard walls with the addition of beads, crystals and baubles of silver and gold woven into the mix. Below are some photos of our intricate luxury walls. Just look at the gorgeous details and how they make the walls pop and sparkle! 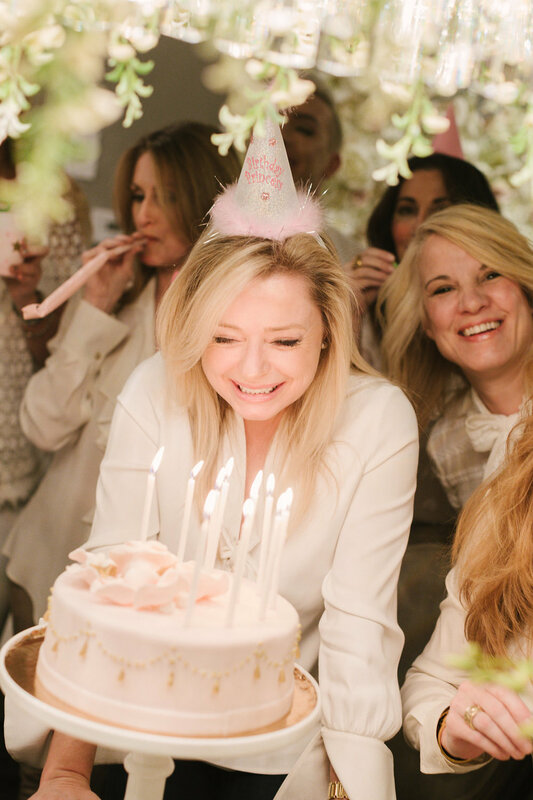 There is so much to look forward to in 2018 party planning! 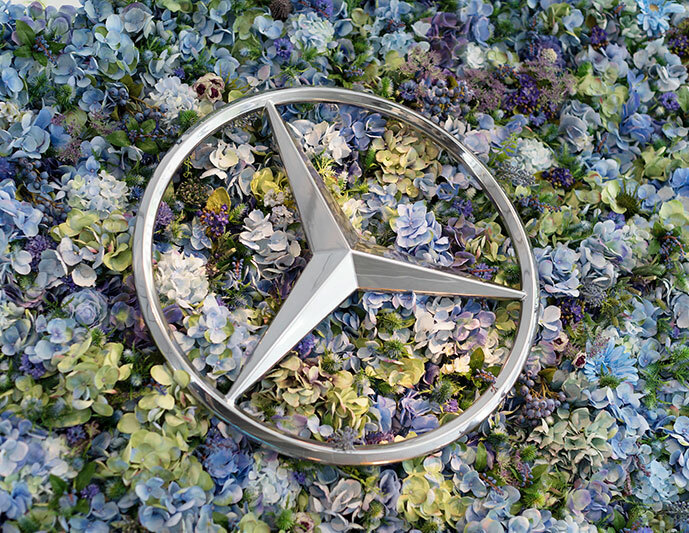 Expect to see lush bright blooms, baubles and beads in our floral creations this year. We will use today’s trends to create wonderful memories with our floral products. We will not disappoint! Little Walls Line. New for 2018! New for 2018, we are offering a Little Walls line. 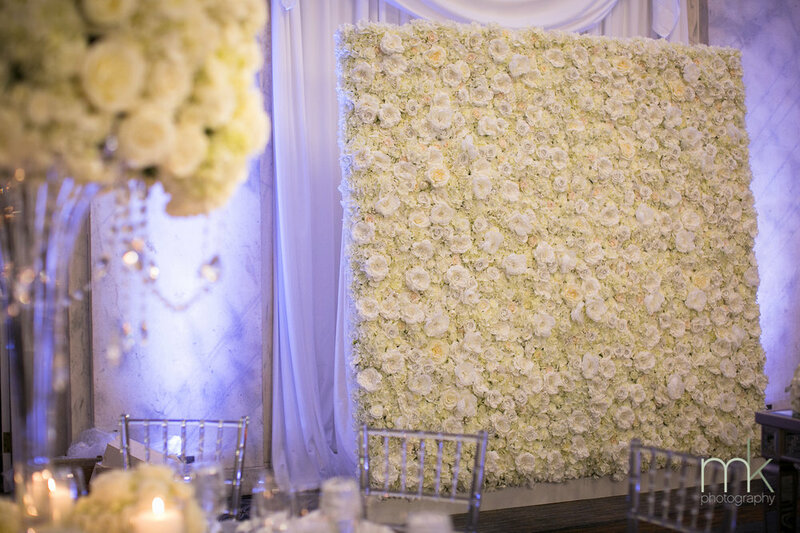 Measuring just 6’ tall by 4’ wide, our Little Walls were initially developed for bridal showers, baby showers and birthday parties, but, no matter what the event is, they are a great way to add a little color and beauty to a party. 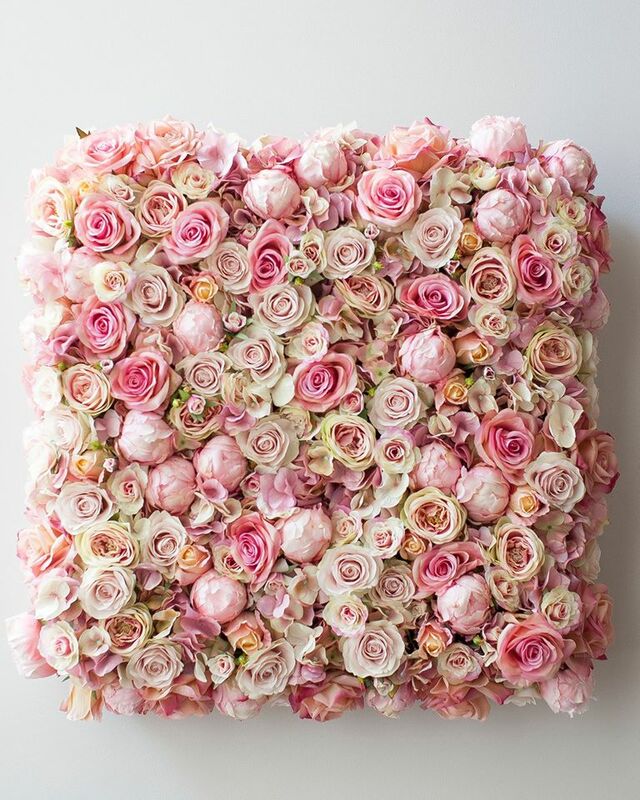 Sit in front of a silk floral wall as you open your cherished gifts from family, friends and loved ones. Celebrate the new addition to the family, an upcoming nuptial or rent one for your child’s next birthday party. They are great backdrops for photos. Walls rent for $250 plus $50 delivery fee. Taxes not included. Finishing touches are just that. They are the little extras to the details that often go unnoticed but when done right they turn something standard into something extraordinary. 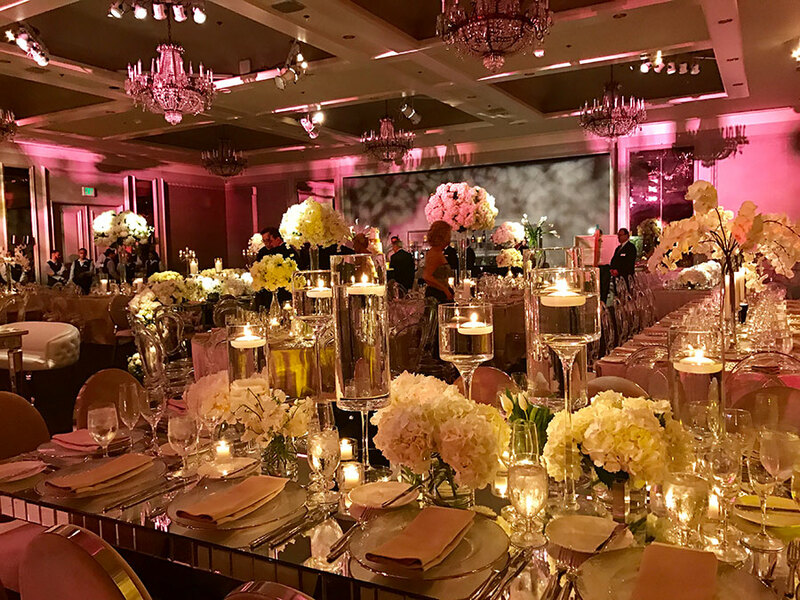 My recent wedding experience at the Ritz in Philadelphia is a perfect case study in finishing touches. At a basic level, wedding planners help you organize your big day, but if you want the day to flow smoothly and the wedding style be nothing short of a fairy tale, then you need more than basic. 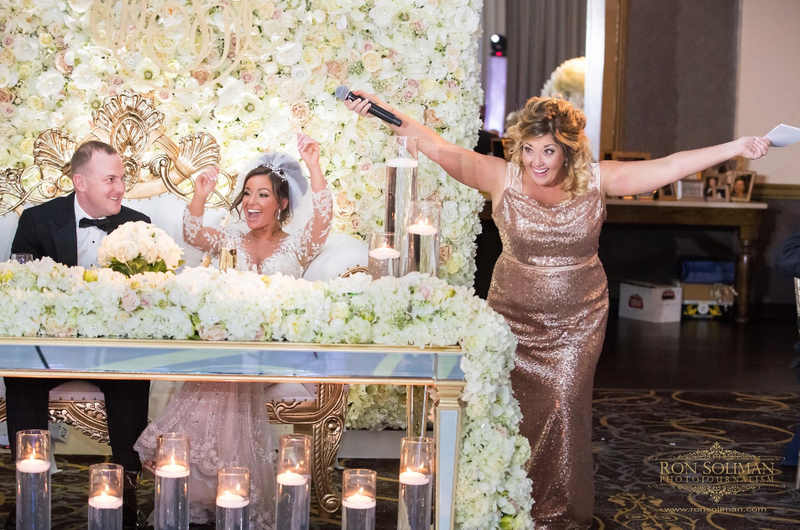 Lauren Lerner Akman and Jamie Nadeau of Lauren James Events are anything but basic! 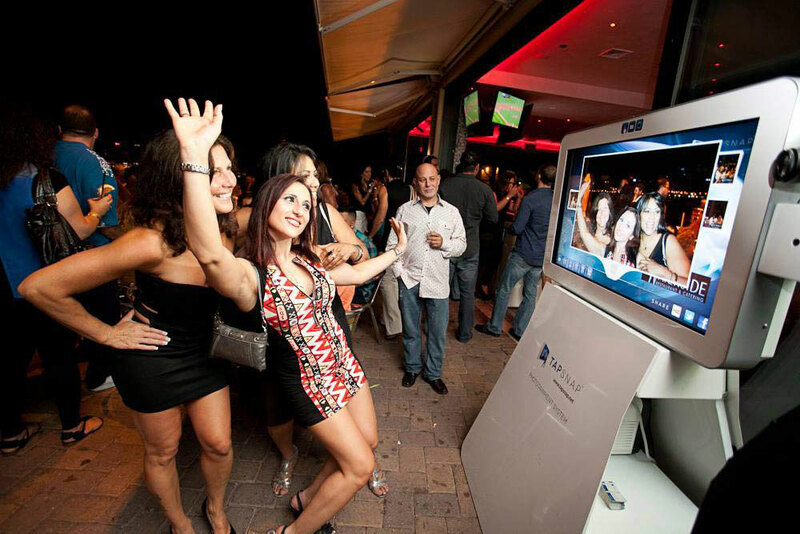 They are luxury event planners who bring creativity and professionalism to every detail. 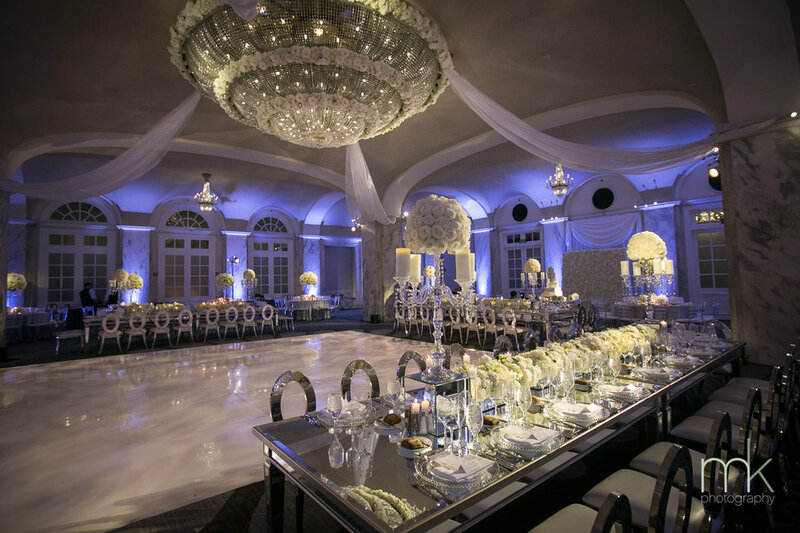 They engineer a manageable time line for vendors, the understand the family members and their personalities and they offer design services that create a stunning, picture perfect wedding. Van Earl’s Cakes is not a bakery, they are artists creating cake art that will blow your mind! Other than the bride and groom, the wedding cake was the celebrity of the day. 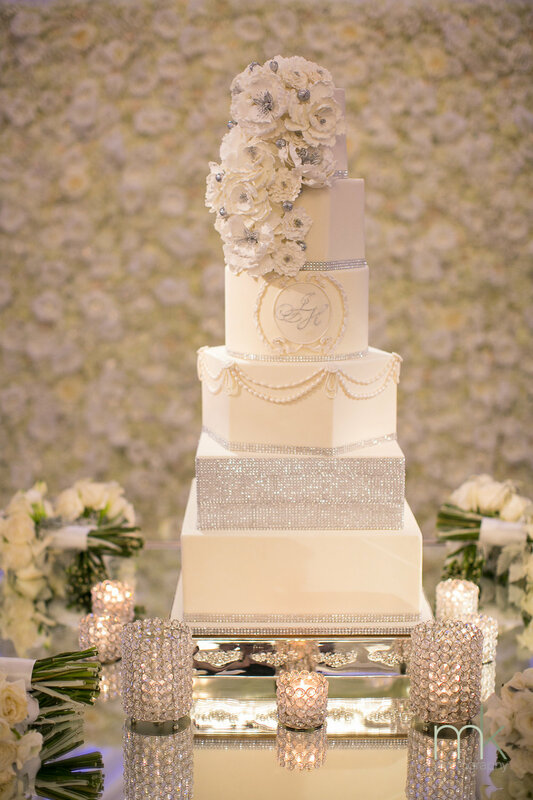 Adorned with cream-colored and bedazzled cascading florals and squared off at the bottom with a tailored layer of silver beads, the cake coordinated flawlessly with the backdrop of my custom-made wall made with similar luxurious jewels and florals. As you can see from the photos below, MK Photography is more than just a photographer. They capture the story of the moment with a photojournalistic style. 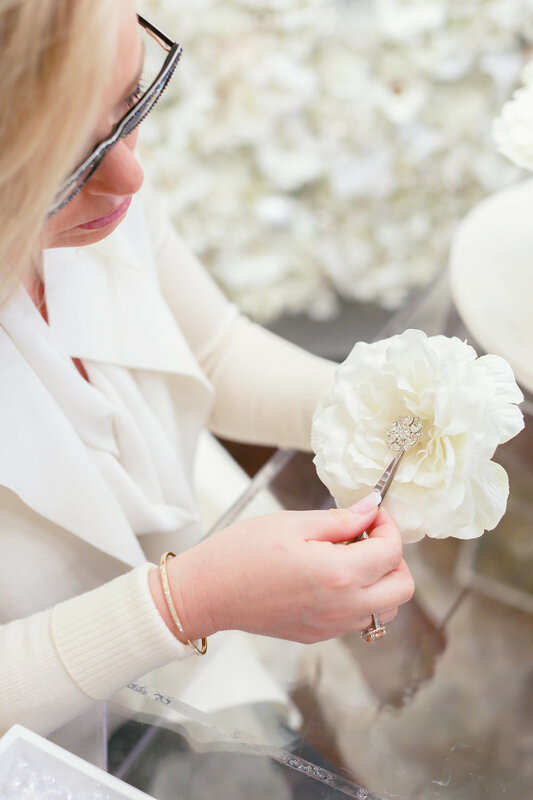 Silk flowers never replace the real deal, but they can coordinate with each other and Jami Rothstein helps pull it all together. She is a florist artisan, nationally recognized for her designs. It was a pleasure to work with her staff to create a memorable setting for the special day. With the right vendors who believe in the extra special details of finishing touches, weddings can go from ordinary to extraordinary! For connections to the vendors listed, please contact Nicol. Happy Holidays! I’m excited to share an article from the Philadelphia Inquirer where I was featured for my home décor. I have so much fun keeping my home decorated for each season and no season is better for decorating than the December holidays! And, just because the weather is outside is too cold for real budding blooms, there’s no reason why you can’t spread the warmth with silk florals! Whether I host a party or just decorate for every day, I like to create warm spaces throughout my home using silk floral bouquets, table runners and even walls of silk florals. I currently have walls of silk florals in my dining room and my home office. Please take a moment to read the article so you can get ideas on how to decorate your home with silk florals! You know the pressure is on when you’re working with a fashion blogger who has close to 18,000 Instagram followers and is a style influencer for the fashion industry. It makes sense that Jacklyn Gerace-Dunn, who runs the blog Three Sisters One Closet, would insist on incredible details for every aspect of her wedding. Despite the pressure, working with this vivacious go-getter with impeccable taste was one of my highlights from 2017. What made it so special was that Jacklyn was nothing but pleasant to work with. As a communicator by trade, she knows the value of open communication. 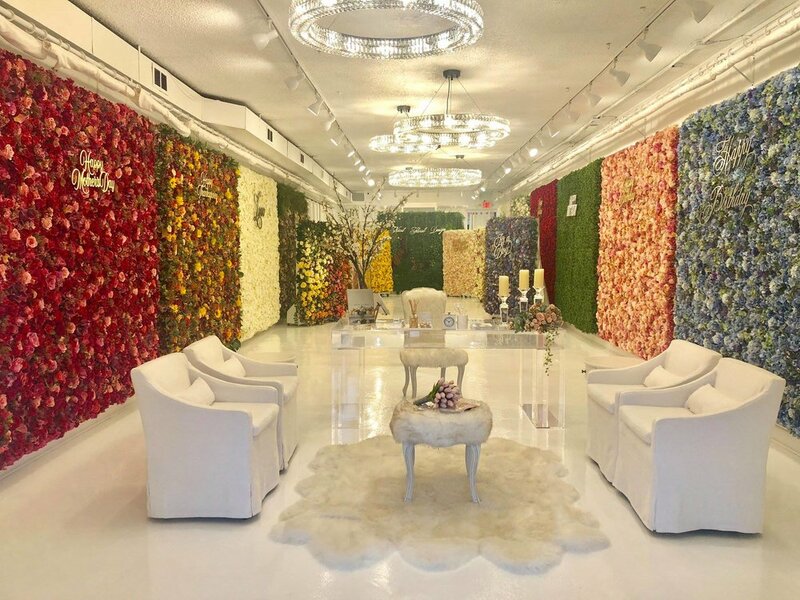 As a stylist, she played an active role in designing her own custom silk floral wall. And, as a savvy businesswoman, she worked well under pressure with me and all her vendors. Not just in terms of telling vendors what you want, but by being responsive, working with deadlines, and staying connected. From the start when Jacklyn contacted me after she saw one of my silk floral walls on display at a bridal shop in Suburban Square, I knew she would be easy to work with. She clearly described her needs and vision so we could we worked together to customize a wall unique to her own style. She responded quickly to emails and texts, allowing us to stay on target with her wedding date. That’s what I call the silk floral wall Jacklyn and I created together and is now part of my silk floral wall collection. With the perfect combination and florals in cream whites with a touch of blush, we created a wall precisely in sync with the bride’s neutral color palette and modern-meets-romantic décor. 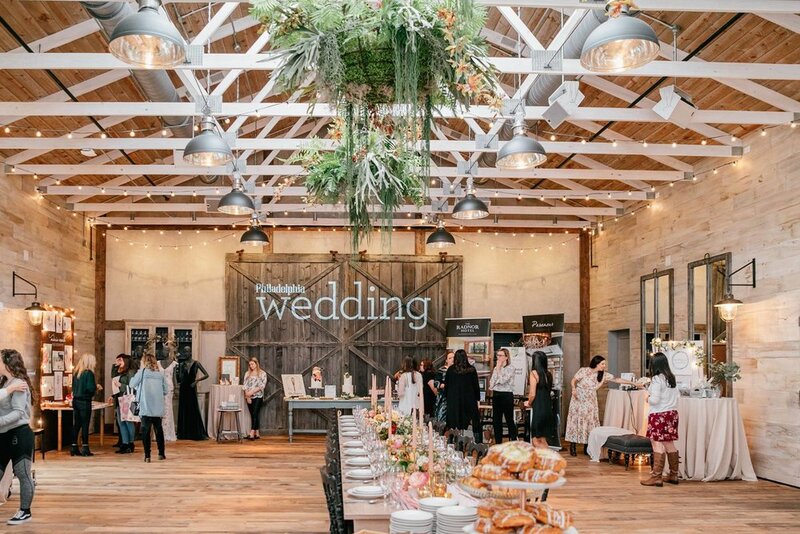 Jacklyn’s extensive research of the area’s top vendors made turned “work” into “pleasure.” Finley Caterers and the Ellis Preserve create fairytale wedding events. Photographers Grace & Ardor Co. out of Bucks County describe themselves as storytellers. They captured the moment and created breathtaking photo documentation of Jacklyn’s special day. They photographed the wedding party as they shot off confetti cannons when the couple stood in front of The Jackie Wall sharing their first kiss. The moment was spectacular and now Jacklyn can remember it for a life time. 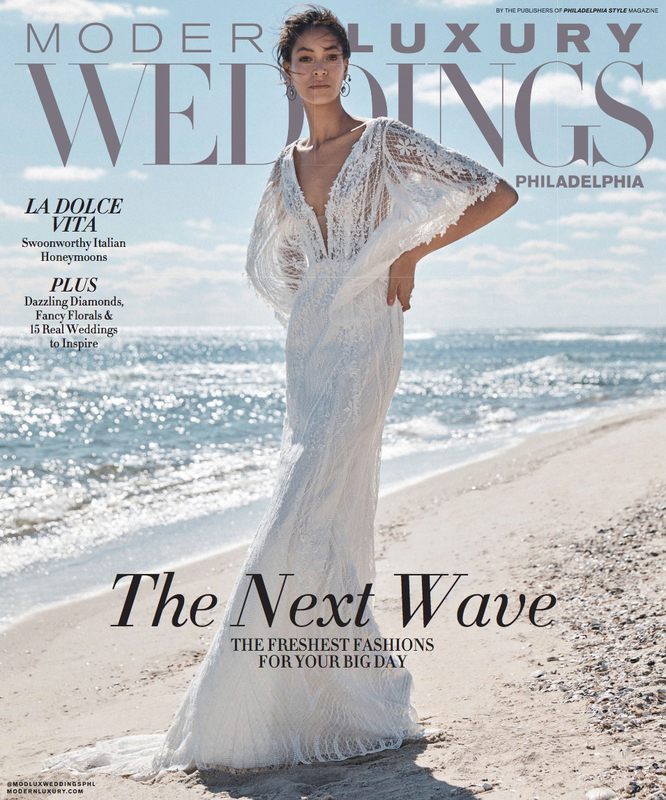 The "icing on the cake" with this project is that Jacklyn's wedding was highlighted in the Spring/Summer 2018 Philadelphia Wedding Magazine in their "Real Weddings" section. What a great way to start the new year! Photography by Grace + Ardor Co.
Spring/Summer 2018 Philadelphia Wedding Magazine. Photography by Rachel McGinn. Photo of Nicol and Jacklyn. Photographer by Rachel McGinn. Nicol touching up one of her walls before a recent photoshoot. Silk Foral Walls For Special Events...Not Just Weddings! Don't get me wrong, I LOVE working with brides to make their special day perfect, but I don't just do weddings! 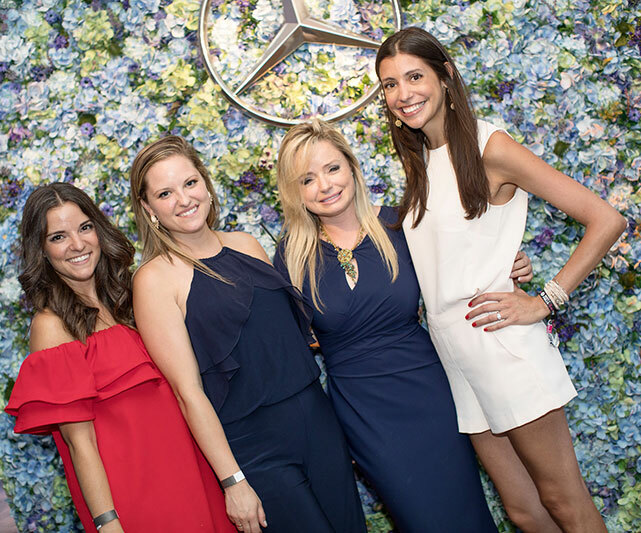 I recently collaborated with Lohner Plastic Surgery and Porsche of the Main Line for an informative, fun and elegant evening. 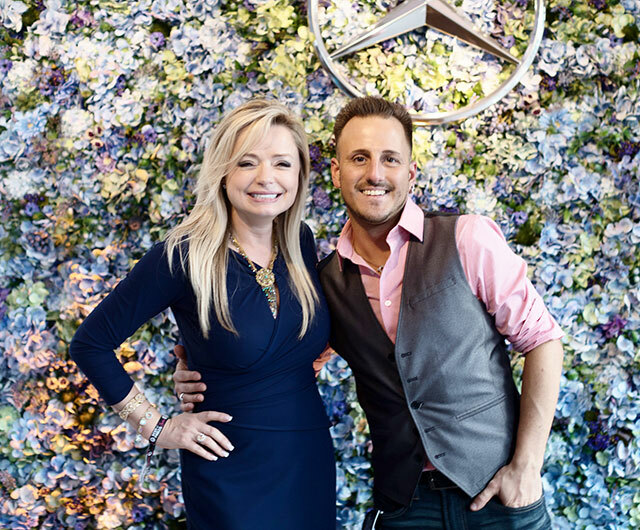 Dr. Lohner, a highly respected plastic surgeon in the area, sponsored an evening of fun and education, sharing some of the new and innovative trends in plastic surgery. 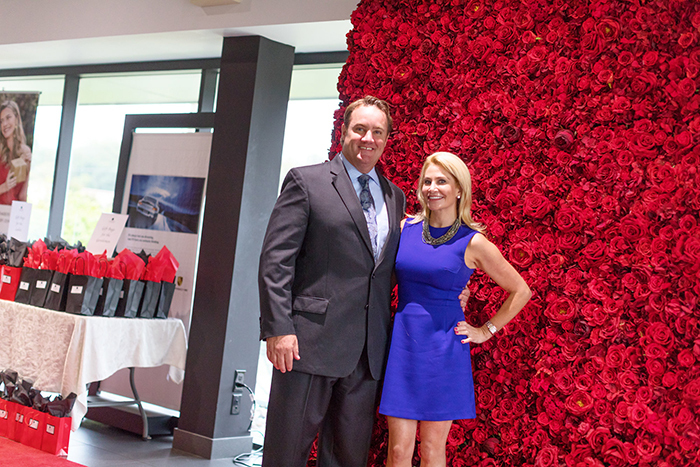 With the help of my red silk floral walls, the showroom at the Main Line dealership popped! 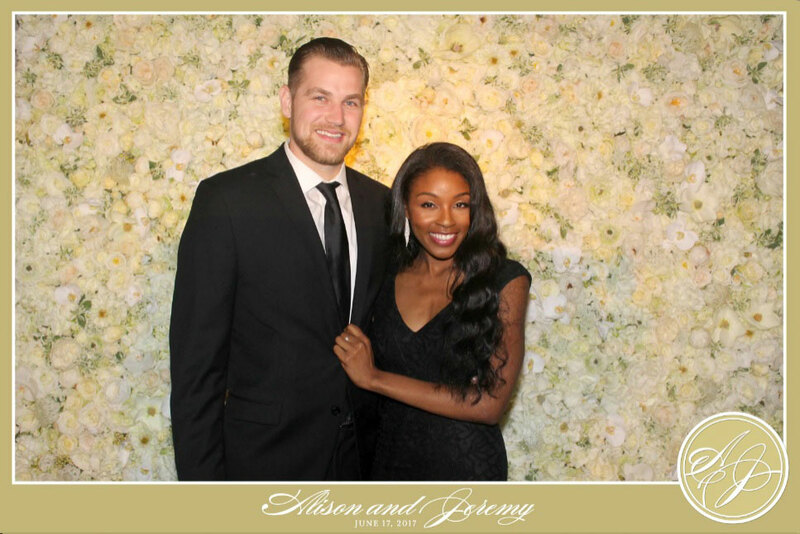 Not only did the florals add a superior touch of elegance and beauty, the wall was a perfect backdrop for guest photos. Shutterbug Maddie Flanigan was on hand to snap photos of all the guests of the evening. Hand crafted with amazing detail, my silk floral walls and visual displays have become immensely popular among Philadelphia retailers. Each wall is carefully created to reflect a business, brand or personality. Place your order today! This is the third time my business has hit media news in that last year! 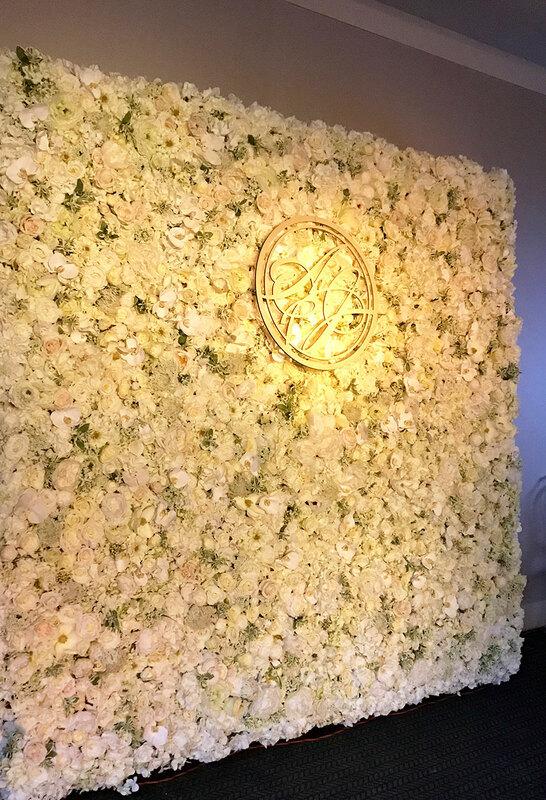 The recently renovated Ritz Carlton has partnered with Nicol Floral Design to create their own exclusive flower walls for brides. 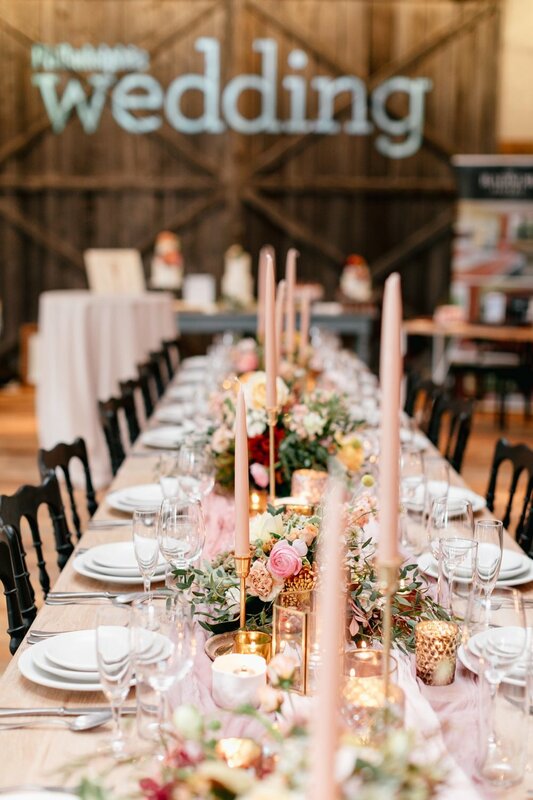 The elevated personal touches of this venue are what sets them apart as one of the top wedding reception venues in the city and I’m thrilled to be working with them! I handcraft my walls with amazing detail, using high quality silk florals. Some of my walls are available as packages throughout the city, such as the Ritz Carlton, but they can also be custom made and rented to be used anywhere. Call me for a free consultation!